After collection from your hotel by our comfortable shuttle service, your tour begins through neat farmland and old pastoral properties before you first stop at the historical town of Braidwood, a great chance to stretch your legs and grab a coffee. From here the environment changes as you enter the temperate forest and travel slowly down the Clyde mountain. Keep an eye out for Lyre Birds, Poo Bear and Tree Ferns all the way to the coastal town of Batemans Bay, the gateway to the unspoilt Eurobodalla Coast. This journey takes approximately 2 hours. 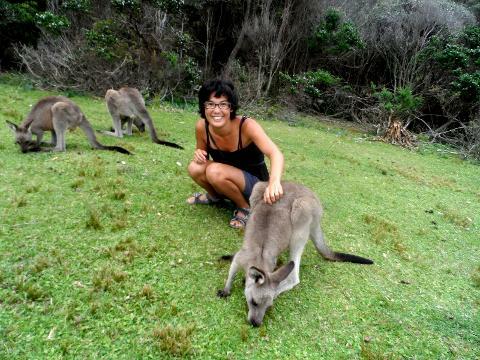 Your tour continues to breathtaking Pebbly Beach, famous for Kangaroos lazing on the sand. 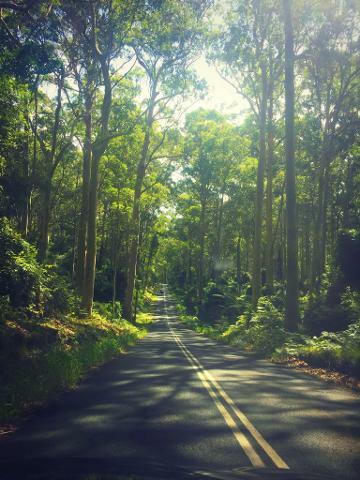 The drive in to the beach takes you through Murramarang National Park, and incredible spotted Eucalyptus forest. 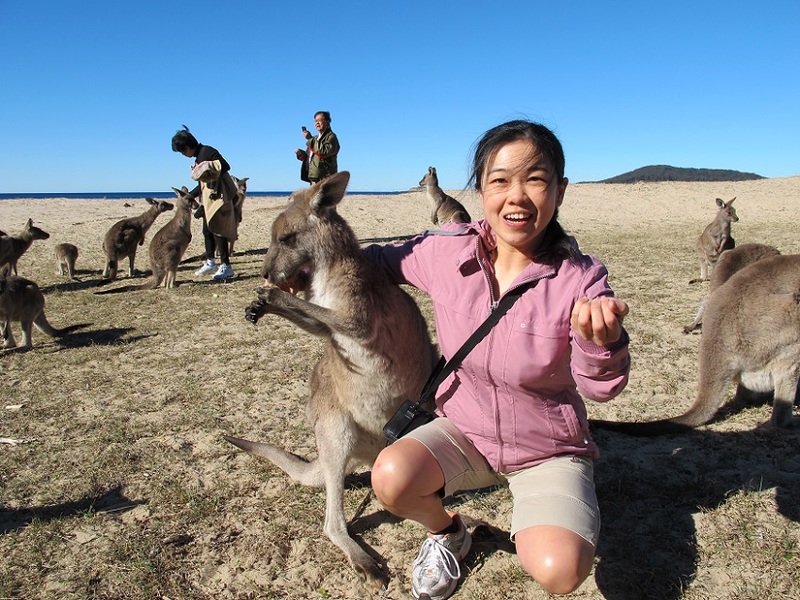 Enjoy the morning relaxing with the Kangaroos, the various brightly coloured parrots or explore the rock platforms at the beach. Your tour then continues to the town of Batemans Bay where our staff will advise you for your choice of cafes and restaurants for lunch. You will have approximately 1 hour to dine at a local cafe or restaurant. After a quick stop to change you will be met by your kayaking instructors who will take you to explore the pristine waters of the Clyde River. 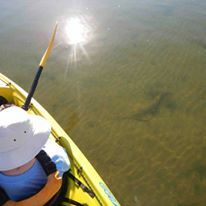 The river is famous for its Oysters, or choose the Glass Bottom Kayak Tour (amazing for kids). A short journey in your comfortable sea kayak to spot stingrays on the sand flats and fish in the Mangroves you will arrive at the famous Wray Street Oyster Shed. Here 4th generation Oyster farmers will have a selection of Oysters to eat as well as an informative talk about the industry. We then paddle on to visit working farms, oyster racks and the factories of the farming families. 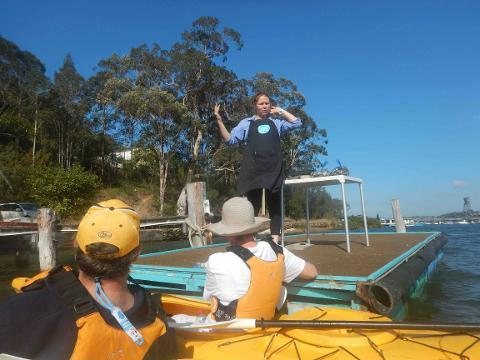 Your 2 hour kayak adventure includes Oyster tastings, information, photos, all equip and expert guides. Say good bye to your kayak guides and depart back to Canberra.